Description: Today’s children live in a world filled with adventure, mental stimulation, topical issues, and personal challenges. The values they learn now, between the ages of 5 and 8, will shape the rest of their lives. Through this collection of heartfelt true stories about family ties, helping neighbors, and lasting friendships, children will see how other kids their age have learned valuable lessons from the choices they’ve made–and most of all, they will realize that they are not alone in dealing with some of the difficult issues in their lives; such as the loss of a loved one, accepting and respecting others, taking responsibility for their actions, coping with fitting in, or learning to make friends. 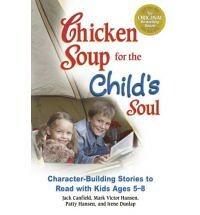 Chicken Soup for the Child’s Soul is a book that can help guide children as they explore their relationships with peers and family members, and begin to develop their own personal values. 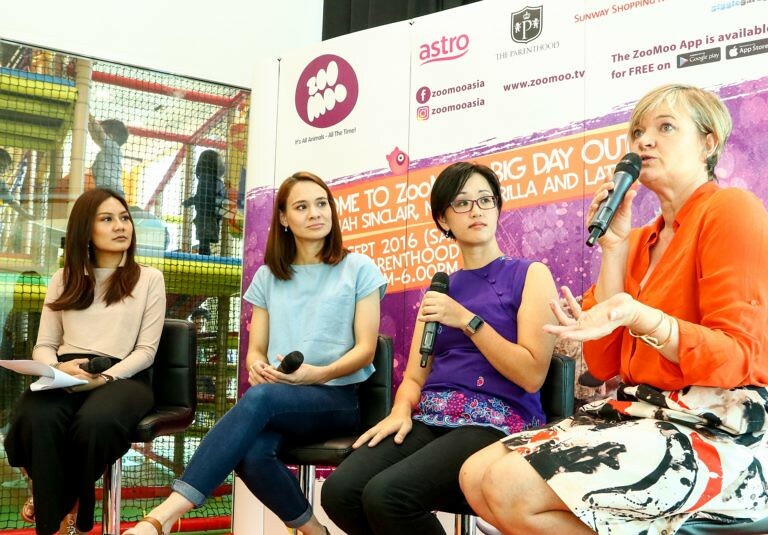 You and your children will share special times reading these real-life stories to each other, as together you explore how other children have dealt with everyday issues in healthy, positive ways. Reading Child’s Soul stories together can serve as an entrance to conversations about the topics of the stories, which can create better family and classroom communication during these exciting years of growth. Recommended age: 5 to 8. Description: Growing Good People One Story at a Time. Before #1 New York Times megabestselling author Spencer Johnson wrote Who Moved My Cheese? and Peaks and Valleys, he created ValueTales (R), a series of storybooks that encouraged children to grasp important lessons told through the lives of famous figures. 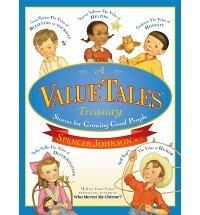 The original books sold more than 10 million hardcover copies, and now Dr. Johnson has collected five of his favorite ValueTales(R) into this first of a planned five volumes and re-edited them to appeal to today’s children. In addition, the stories have all been re-illustrated with wonderful new art by Dan Andreasen. Now today’s parents can share them anew with their own children, helping them to grow into good people, too–one story at a time! Recommended age: Grade 2-4. More ValueTales Books – entire listing of the original series. Description: This complete Box Set features all 28 bestselling titles from the Help Me Be Good series along with a triple CD of read-alongs and songs, plus bonus Parent’s Guide with activities for every book.You also get a FREE download code for 28 additional Help Me Be Good songs when you purchase the Box Set.Titles Include: Being Lazy, Being Forgetful, Being Careless, Being Messy, Being Wasteful, Overdoing It, Showing Off, Being a Bad Sport, Being Selfish, Being Greedy, Breaking Promises, Disobeying, Lying, Interrupting, Whining, Throwing Tantrums, Complaining, Teasing, Tattling, Gossiping, Being Rude, Snooping, Cheating, Stealing, Being Bullied, Being Bossy, Being Destructive, and Fighting. Recommended age: 5 and up. Description: This is a series of books that teach the personal skills children need to take care of themselves, the social skills they need to develop and maintain positive relationships, and the coping skills they need to relate to things in positive rather than negative ways. 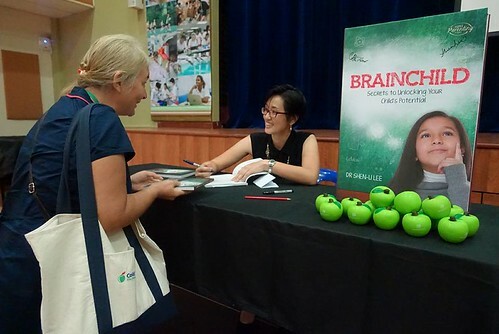 These books are aimed at helping children help themselves by providing the information and motivation children need to lead responsible lives. Recommended age: 3 and up. Titles in this sensitively presented series explore the dynamics of various relationships experienced by children of preschool through early school age. 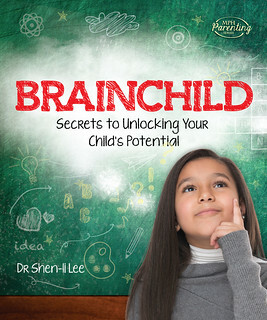 Kids are encouraged to understand personal feelings and social problems as a first step in dealing with them. 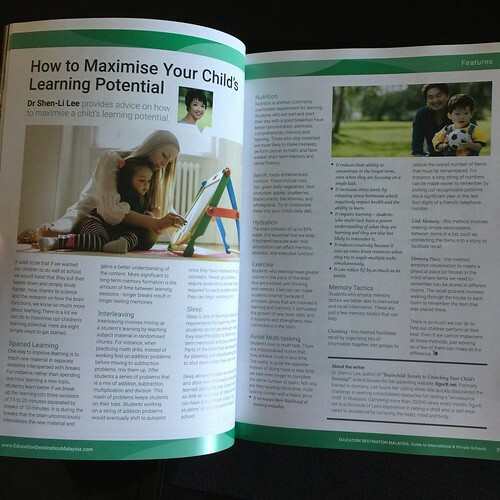 Written by psychotherapist and counselor Pat Thomas, these books promote positive interaction among children, parents, and teachers. The story lines are simple and direct–easily accessible to younger children. There are full-color illustrations on every page. Recommended age: 4 and up. Description: “Don’t be fooled by the title of this seriocomic ode to success; it’s not ‘Climb Every Mountain,’ kid version. All journeys face perils, whether from indecision, from loneliness, or worst of all, from too much waiting. 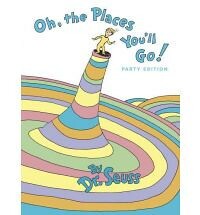 Seuss’ familiar pajama-clad hero is up to the challenge, and his odyssey is captured vividly in busy two-page spreads evoking both the good times (grinning purple elephants, floating golden castles) and the bad (deep blue wells of confusion). Seuss’ message is simple but never sappy: life may be a ‘Great Balancing Act,’ but through it all ‘There’s fun to be done. '” Recommended age: 6 and up. 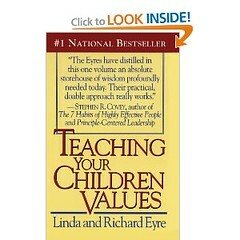 Description: One of the greatest gifts you can give your children is a strong sense of personal values. Helping your children develop values such as honesty, self-reliance, and dependability is as important a part of their education as teaching them to read or how to cross the street safely. The values you teach your children are their best protection from the influences of peer pressure and the temptations of consumer culture. With their own values clearly defined, your children can make their own decisions — rather than imitate their friends or the latest fashions. 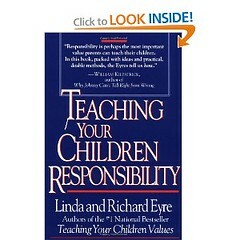 In Teaching Your Children Values Linda and Richard Eyre present a practical, proven, month-by-month program of games, family ctivities, and value-building ecercises for kids of all ages. Recommended: for parents.